One of the most popular recording artists of our time is coming to Philadelphia this spring. 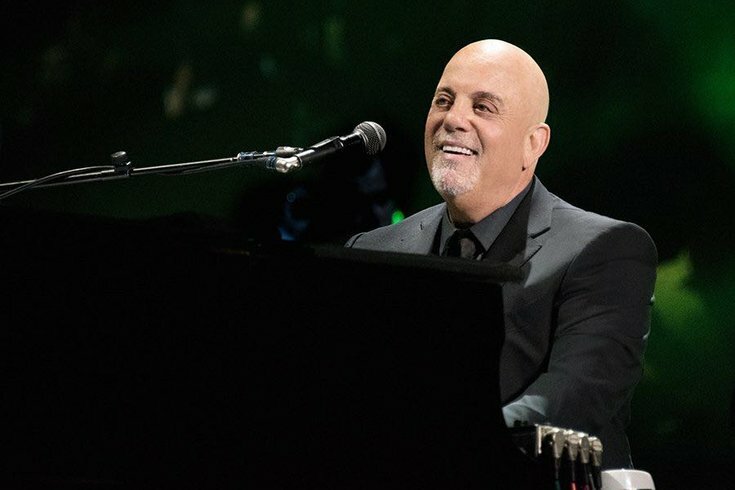 Legendary musician Billy Joel is set to take over Citizens Bank Park on Friday, May 24 as part of his highly anticipated 2019 tour. Tickets are on sale now. Billy Joel is the first artist to perform six consecutive years at the Phillies ballpark and he holds the record for the most live performances at the venue since its opening in 2004. To celebrate this occasion, the artist will be honored with the first music franchise at Citizens Bank Park and offered his own key to the stadium. Billy Joel tour merchandise will also be sold at a special kiosk during all home games in May. The Grammy Award-winning singer and pianist rose to fame in the early 70s when Columbia Records signed him after the label caught wind of a live radio performance of “Captain Jack” that aired on WMMR in Philadelphia. The record contract resulted in the release of the “Piano Man” album, and the rest is history. Since then, Billy Joel has gone on to sell more than 150 million records, has won countless awards and continues to be one of the biggest concerts draws in the world. Don’t miss your chance to see Billy Joel perform in the city that propelled him into a superstar. Friday, May 24 at 8 p.m.